Showings start Wednesday June 27, offers same day as received. 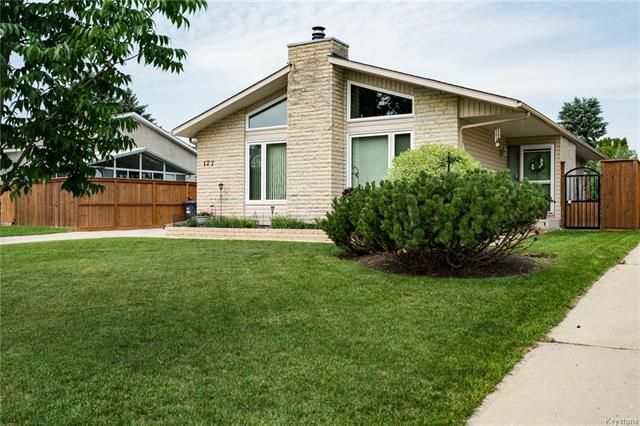 Click on the video link for a personal tour of this truly immaculate custom built bungalow in Sun Valley South on an impeccably landscaped yard. Soaring vaulted beamed ceiling with custom window package. L shaped living and dining room with wood burning fireplace. Massive eat in kitchen with newer vinyl. Large master bedroom with walk in closet and 3 piece ensuite. Basement has huge rec room plus guest room and additional full bathroom. Most windows have been updated to triple pane PVC. The yard is truly special with gorgeous landscaping including shrubs, flowers and perennials. There is newer fencing and a unistone driveway. Located close to schools and park. An immaculate home in a fantastic neighborhood! Hurry before it's gone.